The International Solar Alliance, a brainchild of Prime Minister Narendra Modi that is headquartered in New Delhi, yesterday turned into an “international and intergovernmental treaty” under the United Nations with 26 countries signing up to enhance solar energy. Launched at last year’s UN climate change conference in Paris, the Alliance seeks to promote solar technologies as well as new business models and financial mechanisms to reduce the costs and expand the use of solar energy in its member countries. Bangladesh, Brazil, Ethiopia, Fiji, France, India and Tanzania are among the 26 countries that signed the framework agreement for the Alliance at this year’s UN climate conference, now into its second week here. The Alliance is intended to serve as a “common platform for cooperation among sun-rich countries lying fully or partially between the Tropics of Cancer and Capricorn”. It is keen on the large-scale expansion of solar energy as a way of reducing countries’ dependence on fossil fuels and slash the associated earth-warming greenhouse gas emissions. The framework agreement for the Alliance has already come into force after being ratified by the minimum 15 countries required. Indian officials said more countries were expected to sign up in the coming weeks. “I thank the countries for their continued support for concretising the concept of the (Alliance) and reaching today’s milestone in the shortest possible time,” Union environment minister Anil Madhav Dave said yesterday. He said the Alliance’s activities had “increased significantly” within 11 months of its launch and “many initiatives are under implementation”. India has offered to contribute Rs 175 crore (about $27 million) to create a corpus of funds for the Alliance and to meet the cost of its secretariat, to be located in New Delhi, for the first five years. India is taking the lead in creating a country powered by renewable energy by replacing expensive imported coal with affordable solar power in just six years’ time. But how will they do it? According to a report from Eco Business, India is aiming to alleviate poverty by providing the entire population with cheap electricity while, at the same time, not contributing to global warming by turning its back on fossil fuels and fully embracing solar energy. A 2016 BP Energy Outlook report showed alarming numbers on India’s energy consumption if it continues to depend on fossil fuels. The report says that by the year 2035, India’s gas import will increase by a staggering 573 percent, oil import by 169 percent and coal import by 85 percent. The report says the key drivers in the rising demand for energy in the future are population growth and the doubling of GDP. As a solution to the ballooning of energy consumption, India’s government has recently updated its National Solar Mission Target. By the year 2022, the country aims to achieve 175 GW of renewable power, including 100 GW of solar power. This means that India’s capacity for renewable energy needs to be seven times bigger, from 3 GW to 20 GW per year. Is a Solar-Powered India Possible? According to Bloomberg New Energy Finance, if India manages to create photovoltaic ground-mounted systems, the country will have an energy source that’s more affordable than imported coal. By using the levelised cost of energy (LCOE), the outlet notes that in the future, solar energy will be more economic than using coal. Apart from giving access to cheap electricity, solar energy will also provide livelihood and “generate more than 675,000 jobs in the Indian solar industry,” Goel notes. Solar Energy Chemistry: Is This The Future? People are looking for the next sustainable energy source. That energy source should not only be practical, but inexpensive as well. Many of today’s alternative sustainable energy sources aren’t exactly cheap. Scientists are now looking at solar energy chemistry, and wonder is this the future? The study has been made by a group of European chemists that is led by Professor Joost Reek. He comes from the University of Amsterdam’s research priority area of Sustainable Chemistry. The concept being proposed is solar energy chemistry that can possibly be used in the future for fuel, chemicals and material. Professor Reek is known for his involvement in solar-driven chemistry. For the study, he said that there is a need for breakthroughs in order to move solar-driven chemistry to reality. He envisions a movement that would involve a wide European solar-driven community that could do research as well as be more active in the industry. Professor Reek cites examples of such recent work involving solar-driven chemistry, according to the University of Amsterdam’s site. One such example that he notes is the use of novel molecules for solar-driven hydrogen generation. This has been done by the French company PorphyChem. Another one that he notes is for the development of a photoelectrochemical cell that can convert carbon dioxide to methanol. 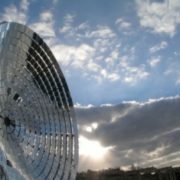 Two Dutch research institutes have joined the University of Amsterdam and the Vrije Universiteit Amsterdam in getting energy from the Sun through the use of photovoltaics, photocatalysis and photosynthesis, as Science Daily reports. These two institutes are ECN and FOM-AMOLF. This is the sort of European community for solar-driven chemistry that Professor Reek envisions. Solar-driven energy is a long-term initiative for a much more sustainable energy future. The paper made by Professor Reek and his colleagues state that solar-driven chemical energy from the Sun is needed for the future. This will create a competitive European effort in the industry as well as in research. Solar energy chemistry then can answer the question: is this the future? 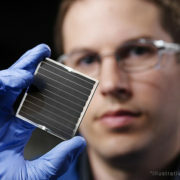 Earlier also cheaper solar cells were reportedly being developed. India is making the push to become greener through the use of solar panels. The nation is lagging behind other countries in terms of renewables and has finally begun taking the steps to change. Prime Minister Narendra Modi’s latest mission is to increase manufacturing of solar panels and expand capacity across the country. The Prayas initiative, the plan to accomplish such tasks, is still in development but will set a goal to create five gigawatts of solar capacity by 2019. The more long-term goal is to have raised capacity to 100 gigawatts by 2022 from the current capacity level of 45 gigawatts. Modi’s vision is for India to be completely self-sufficient in mass production, hence the slogan Make in India. Less importing of solar panel parts from China could save India a significant amount and stimulate the economy. This initiative has sparked international interests in the country bringing investors to India’s doorstep. The government is also trying to get households involved, which would expand the industry domestically. 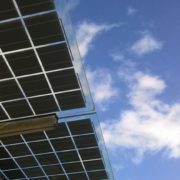 Dozens of manufacturers are gearing themselves to provide solar panels to consumers who are looking to save and go green. Most cells and modules used in manufacturing solar panels are imported from China. In the first half of 2016, India imported 18 percent of China’s production, equivalent to $1.1 billion. India’s businesses lack the economies of scale necessary to effectively produce their own panels and the country altogether spends too much money investing in China. Modi’s plan also allows for the allocation of roughly 9 million rupees per megawatt manufactured, monetarily motivating companies. 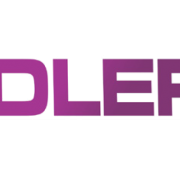 The state aid will be awarded to those who get selected via tender. With funding from the state and outside investments from other companies pouring in, India hopes manufacturers will finally be able to raise the capital resources needed to compete on this larger scale. Government officials hope that if India is able to ramp up solar energy production, they too could be exporters like their neighboring competitor. The exchange rate between the two countries is currently 9.91 rupees for every Chinese Yuan. By capitalizing on solar manufacturing, India has the opportunity to steal China’s market share and increase economic growth. Indian officials claim the Prayas initiative has the potential to create thousands of jobs. This combined with an international interest in the industry is also beneficial and directly challenges China’s stake. Investors should buy rupees against the Chinese Yuan now before the Prayas initiative is officially released. The plan is to be discussed at the next finance ministry meeting next month. 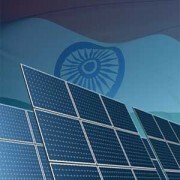 Japanese SoftBank Group Corp. may be one of the companies manufacturing solar panels in India through a joint venture. The company already holds a $10 billion joint venture to manufacture panels in India with Foxconn Technology Group and Bharti Enterprises Pvt. but is considering dropping them for this project. Foxconn is public in Taiwan and Bharti has a subsidiary which is public in India named Bharti Airtel Limited. Both companies could suffer losses if SoftBank advances without them. Manufacturers will surely benefit from the government’s plan. Companies like Moser Baer, Indosolar, and Swelect Energy are all creating cells and modules that go into solar panels in India. With government funding and the increased opportunities for business, these firms are highly incentivized to help India in their endeavors. Its probable investors could stand to profit if they long shares in any of these companies. Being stuck with unsellable surplus power skews the economics of rooftop solar plants for these colleges and factories. 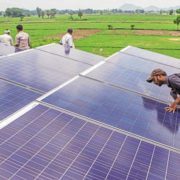 “Discoms see rooftop solar plants as ‘competition’,” observes Ketan Mehta, CEO of Rays Power Infra, which owns solar power plants and builds plants for others. Prime Minister Narendra Modi needs at least $100 billion more to finance country’s goals for clean energy even after his government’s policies brought in record investment in wind and solar power stations. That’s the conclusion of a report by Bloomberg New Energy Finance, which found $10.5 billion flew into renewables in India for the fiscal year ended 31 March, almost 60% more than the $6.6 billion invested two years ago. It also said 7.3 gigawatts of clean-energy projects were built for the latest fiscal year, which is 71% higher than the previous period. The findings represent the broadest assessment yet of the money going into India’s clean-energy industry. Growth in the renewables business has helped India become the third-biggest power market in the world after China and the US, according to the BNEF report. Modi has set a goal of building 175 gigawatts of clean-energy capacity by 2022 to supply more of the 62 million households that lack access to reliable grids and feed demand for electricity that’s projected to rise fourfold by 2040. An investment of $100 billion is equivalent to almost 5% of all the goods and services produced annually by the nation of 1.3 billion people, according to data compiled by Bloomberg. The report, sponsored by the David and Lucile Packard Foundation, a US non-profit working to mitigate climate change with renewable energy, was released at BNEF’s conference in Shanghai on Tuesday. It also found that India has installed clean-energy capacity of 42.6 gigawatts. That accounts for 14% of the nation’s total generation capacity, up from 12.5% three years ago. Jaiswal said the nation needs to diversify its sources of finances to reach the goal, bringing in big international banks to complement the lending done by India’s state-backed institutions and the development banks active in the country. It also needs to reduce the cost of debt financing for solar projects, which is more than double the rate charged in China and six times interest rates available in Japan, according to the report. State Bank of India and Punjab National Bank, along with Axis Bank Ltd and Yes Bank Ltd, have helped supply much of the finance along with non-bank lenders such as Tata Cleantech Capital Ltd and L&T Finance Ltd. Development institutions include the Indian Renewable Energy Development Agency, the World Bank’s International Finance Corp., the Asian Development Bank and KFW of Germany. The huge capital needed to meet the targets, as well as the high cost of capital, mean that fundraising from the public markets will be critically important, according to the report. Along with green bonds, India is turning to infrastructure investment trusts, which are used to free up and recycle developers’ capital stuck in operational projects by securitizing the revenue streams and offering the units on the public market. The arrangement, expected to help the inflow of foreign capital and reduce the exposure of domestic financial institutions, was approved in September 2014 by the Securities and Exchange Board of India. Infrastructure investment trusts are similar to yieldcos in helping developers combine multiple projects. To create safeguards for investors in infrastructure investment trusts, regulators have set a requirement for a minimum number of independent directors in the investment management firm and have also placed restrictions on transactions done between related parties, according to the report. India also needs to improve on the management of power distribution companies, according to BNEF’s Jaiswal. “Right now, India’s power distribution utilities are in huge debts, so they don’t buy power even when there’s demand,” Jaiswal said. Retailers held total debt of almost Rs.4.1 trillion ($60 billion) at the end of March 2015, Power Minister Piyush Goyal said in August. That leaves the country’s power plants running below capacity, while one in five people go without electricity. India’s solar sector outlook is positive in view of a strong government support for the renewable energy sector to achieve the target of 40GW of installed rooftop solar power by 2022 along with high investor interest, says a report. “We maintain our view that inefficiencies in the power grid infrastructure, power supply shortages and the scalability of decentralised technology pave the way for deployment in India,” BMI Research said in a statement. The outlook for solar power in India is positive, given the strong government support for the sector, high investor interest in the market and the strengthening project pipeline of projects, it said. “26GW of solar capacity in the pipeline we expect solar capacity to surge to nearly 53 GW by 2025. This, however, is below government targets, which envisage solar capacity reaching 100GW by 2022 -a target we believe too ambitious, due to the numerous bottlenecks facing the country’s renewables expansion, it said. “We note that this growth in solar capacity is not just confined to utility-scale capacity, asIndia holds vast potential for the expansion of decentralised energy solutions (DES), notably in the form of off-grid and residential solar,” it said. “Inefficiencies in the power grid infrastructure, power supply shortages and the scalability of decentralised technology pave the way for deployment in India – and in fact, the wider Asia region where we have highlighted the growing penetration of DES as a key theme,” it added. Within the government’s solar roadmap there is a capacity target for rooftop solar-of 40GW by 2022. “We believe the fulfilment of this target will be determined by policy implementation at the state-level, given that governance in the power sector remains very much state-led,” it said. “As such, we view the announcement of Madhya Pradesh’s decentralised renewable energy support scheme in September as a positive step towards increasing the deployment of rooftop solar in India at the national level. solar by 2022 by introducing a net-metering system, which enables consumers to sell excess power generated from household renewable energy systems,” it said. In a first, a researcher from Pune’s Indian Institute of Science Education and Research (IISER) has successfully produced a stable, high-efficiency, all-inorganic perovskite nanocrystal solar cells. 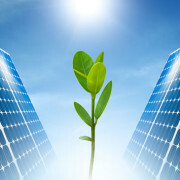 The new material has 10.77% efficiency to convert sunlight to electricity. The results were published on October 7 in the journal Science. Traditional research has been around a hybrid organic-inorganic halide perovskite material. Though the hybrid material has high efficiency of over 22%, the organic component in it is volatile and becomes completely unstable under ambient conditions within a short span of time. 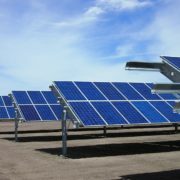 This renders the material unsuitable for commercial photovoltaic applications. So Abhishek Swarnkar, a research scholar from the Department of Chemistry at IISER and lead author of the paper, and others from the National Renewable Energy Laboratory, Colorado, U.S., replaced methyl ammonium, the organic component, with cesium to produce the material of cesium lead iodide. “Though the completely inorganic material is stable, there are problems. In bulk form [bigger size crystal], the cesium lead iodide perovskite absorbs sunlight light only up to about 400 nm. So it does not have much application as a photovoltaic material,” says Mr. Swarnkar. One way of making the bulk material capable of absorbing the entire range of visible sunlight (400-700 nm) is to heat it to 300 degree C so that is attains a desirable crystal structure (cubic phase). But when the material cools down to room temperature, where photovoltaics normally operate, it once again regains its undesired crystal structure (orthorhombic) and loses the ability to absorb sunlight beyond 400 nm. “We found that by reducing the size of the crystals to nanometre range, the material at ambient temperature is able to absorb visible sunlight till 700 nm. This is because the material retains the desirable crystal structure (cubic phase) even at room temperature,” he says. The nanocrystals were found to be stable from —196 degree C to about 200 degree C.
“By reducing the size of material to nanometer range, the surface to volume ratio increases tremendously. As a result, high surface energy comes into play and makes the high-temperature cubic phase crystal structure stable even at room temperature,” he says. The researchers assembled the nanocrystals as a thin film. The thin film was used for making both solar cells and red LEDs. Solar cells made using the nanocrystal thin film has 10.77 per cent efficiency to convert sunlight to electricity and produce a high voltage of 1.23 volts. “Generally, more electrical energy is required to get low energy emission in LEDs. But less electrical energy [voltage] was sufficient to produce red light in LEDs made using our method,” Mr. Swarnkar says. India’s clean energy progress takes a couple more tangible steps as the country surpasses 8.6 GW of solar PV capacity installed and gives its approval to ratify the Paris Agreement. India has a long way to go to meet its solar goals, but direction and pipelines are both promising. 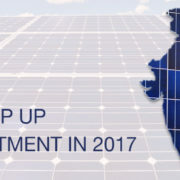 New analysis by Mercom Capital Group has revealed that India’s cumulative solar capacity has reached 8,643 MW as of September, with the analysts forecasting the country to end 2016 having installed 4.8 GW of new capacity. The calendar year up to now has seen India add 3.8 GW of new solar, Mercom says, with some 500 MW added in the month since the last Mercom report. By region, there are now four India states that have more than 1 GW of capacity installed – Tamil Nadu (which accounts for 19% of all Indian solar capacity), Rajasthan (15%), Gujarat (13%) and Andhra Pradesh (12%). These four states comprise 59% of India’s installed solar base, Mercom says. Charged with reaching 100 GW of solar capacity by 2022, such progress, though welcome, needs to be expedited. India’s solar pipeline stands at 21 GW, of which 14 GW comprises solar – mostly PV – projects at advanced stages of development, with the remainder up for auction soon. The chief challenges facing solar’s growth remain a decline in power demand a the availability of cheap power on the exchanges – power that cash-strapped Discoms turn to in favor of solar. “The challenge is going to come next year when approximately 9 GW of solar power is forecast to be installed. Unless the ‘must run’ status for solar projects is strictly enforced we are going to see some challenges,” said Raj Prabhu, CEO of Mercom Capital Group. 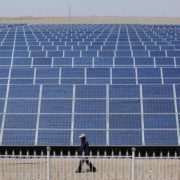 India introduced its “Must Run” rules for solar in the hope of ensuring the technology received preferential treatment when it came to grid access. Thus far, this policy has been loosely enforced, with economics trumping environmental concerns. All this could be set to change, however, following India’s ratification of the Paris Agreement struck last year at COP21. Prime Minister Narendra Modi and his cabinet waited until Sunday, October 2, to coincide the ratification of the agreement with the birth anniversary of Mahatma Gandhi. Indian officials confirmed that the nation’s aim is to be a global leader in the deployment of solar and wind power, but stressed that the country requires further financial aid to reach its lofty goals. In recent weeks, the majority of the world’s largest emitters of global greenhouse gases – including China, the U.S. and the EU – have ratified the Paris Greement, which pledges to reduce emissions in order to limit global temperature rises to below 2C by 2050.